Dante's Inferno, his depiction of hell, was written while Europe was suffering through war, famine, the corruption of the Church, and the evils of the pogrom - the brutal massacre of countless Jews. Shortly after Dante's passing, the black plague killed off half the world's population, an end-of-days-like event that birthed a legend depicted in paintings and dance: the Grim Reaper. What few people know is that Dante's poem draws inspiration from the Zohar, an ancient text that warns that the true end of days will be brought on by the corruption of man after events on the 23rd day of Elul - a date equating to September 11th, 2001. One person that does know is Mary Klipot, a biohazard level-four scientist. She sees historical parallels between the lack of morality that corrupted Europe preceding the Black Death and the present-day greed that has mired our own society in economic collapse and seemingly endless wars. And she sees an opportunity to carry out God's work. She injects herself with Scythe, a swift-acting version of the Black Death, and diligently spreads the infection throughout Manhattan. The threat of a worldwide pandemic forces officials to seal off the island at a time when world leaders have gathered at the UN. One-armed and shell-shocked Iraq vet Patrick Shepherd may be able to stop her. But first he'll have to find his family somewhere in the plague-ravaged city, and outrun the Grim Reaper himself. 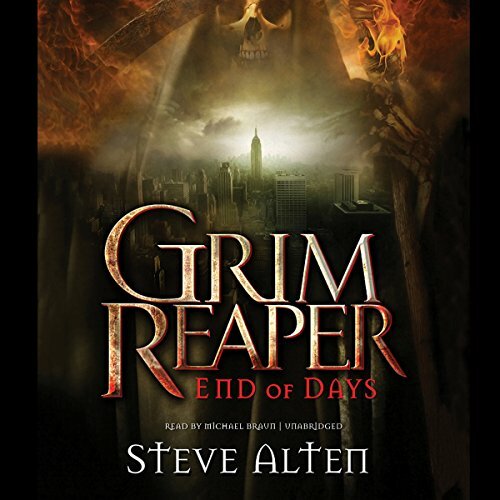 Meticulously researched and written in a voice reminiscent of Cormac McCarthy, End of Days is the first book in a planned series best described as The Stand meets Dante's Inferno. ©2016 Blackstone Audio, Inc. (P)2016 Blackstone Audio, Inc. I had high hopes for this book given the plague storyline. The start was good and had it stayed focused on the science and his usual great storylines it would of been great. However, it declines into religious mumbo jumbo and make believe end of the world biblical style, I only continued reading as I paid for it. Go read the Bible if you want myth and nonsense. Great read (listen), especially if you're awake! Highly recommend it, as well as his other books!